The Ajax windbraker is a coat that will make your friends jealous. The jacket has subtly printed AFC Ajax on the chest so it's clear that you are a Ajax fan. 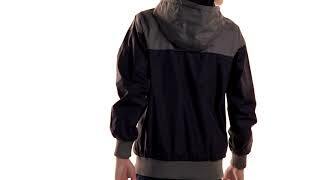 The collour of the jacket is navy/gray. The jacket is made of high quality matirial.